Professor Jiang received his doctoral degree from the Nanjing University of Aeronautics and Astronautics. He is a renowned scholar in the areas of product mechatronics and engineering covering nanomaterials and technology, materials design and simulation, etc. 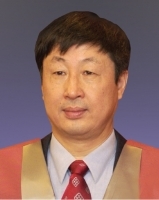 Professor Jiang was formerly President of Northwestern Polytechnical University and has served as Visiting Scholar at PolyU, making significant contributions in strengthening academic collaboration between PolyU and mainland institutions, and in steering the development of science education and research.